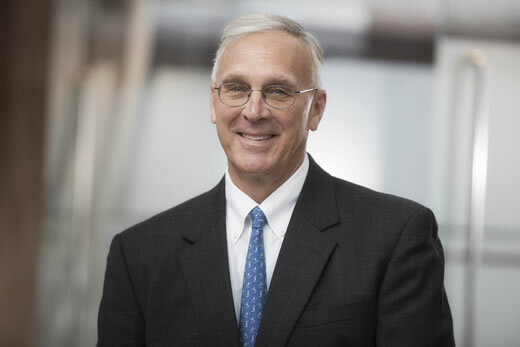 C. Michael Cassidy joined Emory University on October 1 in a new position designed to provide vision and leadership in promoting biomedical innovation and enhancing the university’s economic engagement in the Atlanta region and beyond. As director of the new Emory Biomedical Catalyst, Cassidy will lead efforts to enhance innovation, entrepreneurship and development of intellectual property, as well as identifying and developing areas of frontier research. As Georgia Research Alliance (GRA) president and CEO for 18 years, Cassidy led the GRA’s emergence as one of the nation’s premier organizations for technology-based economic development. He generated broad-based support for the GRA’s mission, including economic development and building and sustaining the non-profit’s powerful set of relationships with companies, professional organizations, universities, and leaders at the local, state and national level. He expanded the GRA’s mission of recruiting world-class scientists to Georgia universities, investing in state-of-the-art research technology for university labs, launching new companies around university inventions, and forging and strengthening alliances among universities and industry. Cassidy will report to Lewin and to Vikas Sukhatme, MD, ScD, dean of Emory University School of Medicine. He also will work closely with research leaders and with initiatives in innovation and entrepreneurship throughout the university, including the Office of Research (WHSC), Office of Technology Transfer, the Emory Healthcare Innovation Hub, the Coulter Translational Research Program, the Georgia Clinical and Translational Science Alliance, the office of the provost and the office of the senior vice president for research. Cassidy serves on the boards of the State Science and Technology Institute (SSTI), the Health Care Ethics Consortium, Primary Care Innovation Fund, the Global Center for Medical Innovation, Georgia’s Bio/Med Investor Network, Atlanta Emerging Markets Inc., and the Georgia Chamber of Commerce. He has a master’s degree in Technology and Science Policy from Georgia Tech and a BBA in Marketing from Georgia State University.